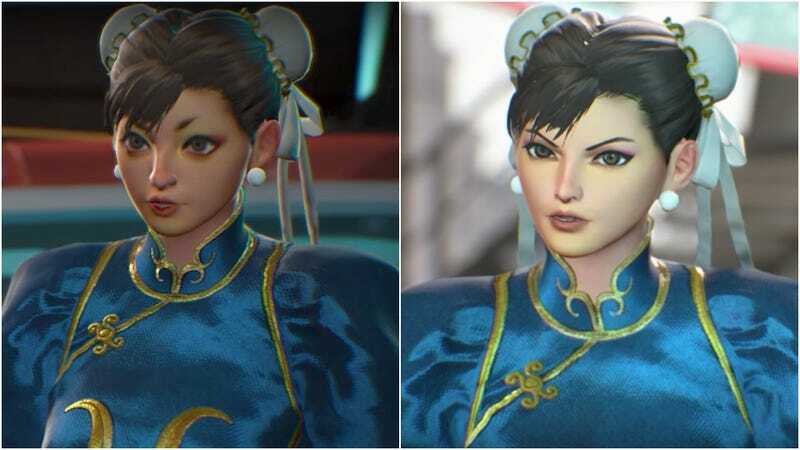 The earlier Chun-Li character model in Marvel vs. Capcom: Infinite looked terrible. Now, it appears that her strange appearance has been fixed. As Event Hubs reports, the latest Marvel vs. Capcom: Infinite story trailer shows how the character’s design has been tweaked. Below are before and after comparisons. Dante from Devil May Cry also looked strange in an earlier Marvel vs. Capcom: Infinite trailer. He’s briefly in this new one, but it’s hard to tell if his face has been fixed, too.